It's been quite a brilliant week in style thanks to the Golden Globes and to the stylish guys doing their movie press tours. Joining the regulars to Most Stylish of the Week is Nicholas Hoult, who rocked a simple bronze Gucci suit and from whom I think we can expect some more great moments. Being tall always helps but the guy knows how to carry himself. Robert Pattinson also chose Gucci, though a more traditional black and white number. I love the perfect fit and the ease Patz wears it with. I am missing his great hair a little but I'm sure it will be back in no time. I watched the first episode of 'The Carrie Diaries' this weekend and I must say I can't wait to see more of Austin Butler in it. Chuck Bass is irreplaceable but I love his 70's rockstar vibes in the 80's scenario. He is just as good at pulling effortless ensembles on his daily life. 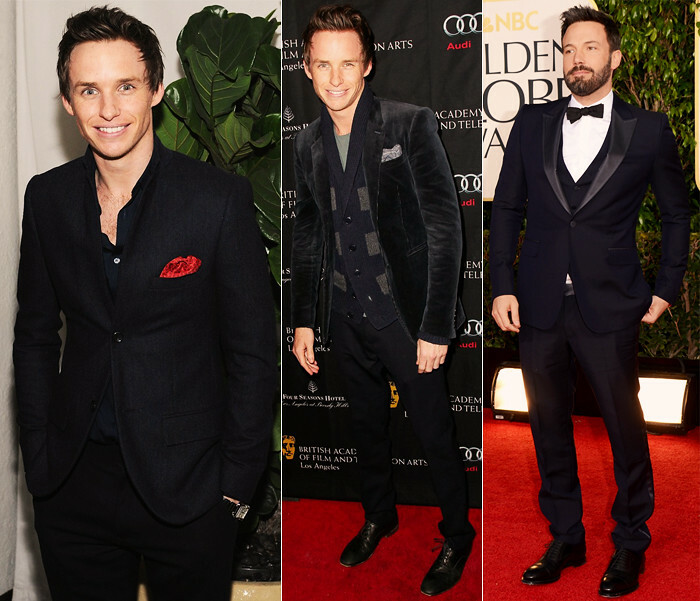 How could I not include two Eddie Redmayne looks at least? He simply can do no wrong and always strikes a perfect balance between smart and casual. The colours are always subtle but he knows a man's best friends are fit and texture. Even though I strongly disagree with his winning Best Director at the Golden Globes, Ben Affleck has enough experience by now to look more dapper than any of the boys on the red carpet. It's nice to see he knows the power of a broad lapel and a complimentary waistcoat – everything, of course, by Gucci.